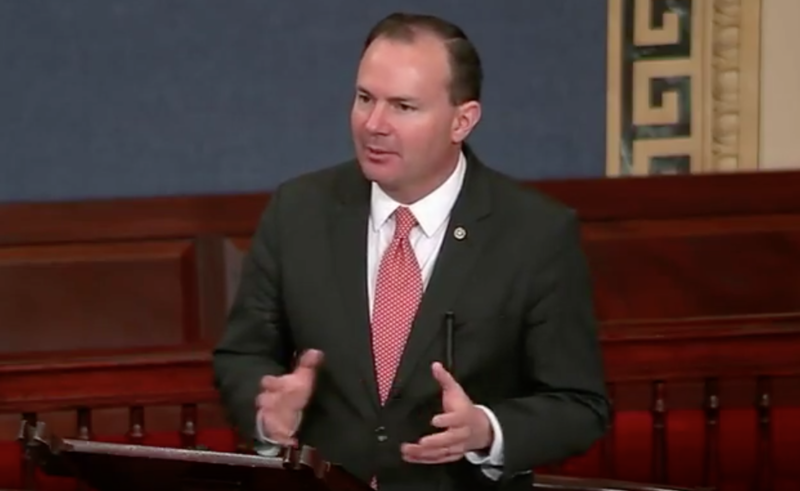 Utah Sen. Mike Lee attended the opening of the U.S.'s new embassy in Jerusalem on Monday, a move that has escalated tensions in the region. In a Tweet, the Republican shared a photo of himself and Sens. 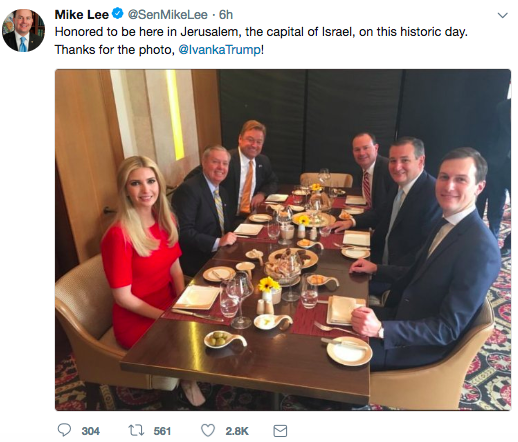 Lindsey Graham of South Carolina, Dean Heller of Nevada and Ted Cruz of Texas at a table with Ivanka Trump and Jared Kushner, President Trump's daughter and son-in-law. "Honored to be here in Jerusalem, the capital of Israel, on this historic day," he captioned it. In another Tweet from Ted Cruz, the senator shared a photo of the Congressional delegation with U.S. Ambassador to Israel David Friedman in his new office. President Trump announced the controversial move in December, breaking with decades of official U.S. policy. The decision was praised by Israeli leaders and other pro-Israel voters, but condemned by Palestinians and others in the international community who want to see East Jerusalem become the capital of a future Palestinian state. Trump said the move from Tel Aviv to Jerusalem was "a long-overdue step to advance the peace process," which have long since stalled. According to the Associated Press, Israeli soldiers killed more than 50 Palestinian protestors on Monday and wounded more than 2,000 in the deadliest day in Gaza since a 2014 war with Israel. "We continue to hope for peace and longtime stability between Israelis and Palestinians, but the US could no longer wait to do the right thing in recognizing the nation’s rightful capital," said Sen. Lee in a statement. The new embassy is located in facilities currently used for U.S. consular activities. The State Department plans to find a more permanent location by 2019.